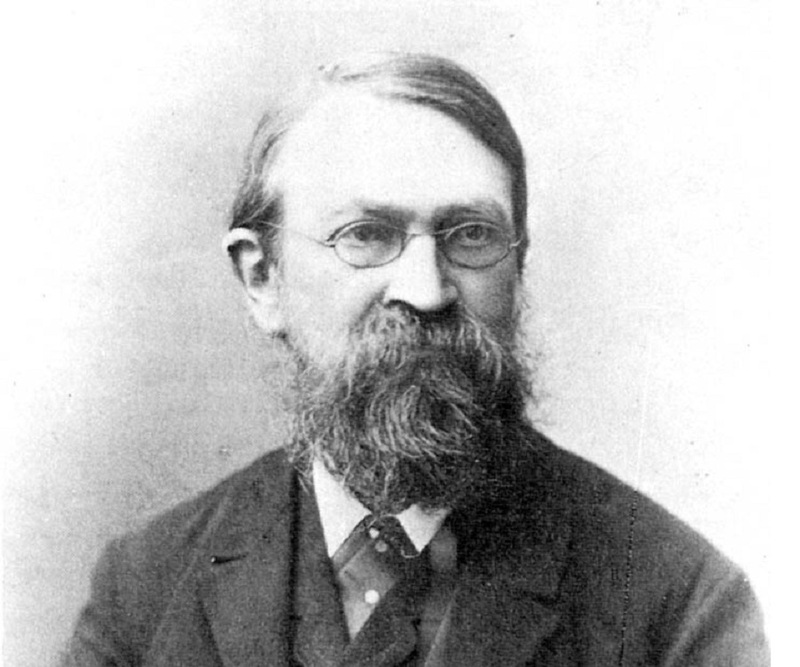 Ernst Mach (February 18, 1838 – February 19, 1916) was an Austrian physicist, philosopher and experimental psychologist. In physics, he was the first to systematically study super-sonic motion. He also made important contributions to the understanding of the Doppler effect. In psychology, he studied the relationship of our sensations to external stimuli. Mach was inspired by Gustav Fechner’s psychophysics. Psychologists today regard him as a founder of Gestalt theory as well as the discoverer of neural inhibition. Philosophers consider him as the founder of the philosophy of science. For a serious academic review of Ernst Mach’s contributions I would recommend the SEP article but I was inspired to write this post by Amanda Gefter’s excellent Nautilus article titled “When Einstein Tilted at Windmills” in which she focuses on the relationship between Michele Besso and Albert Einstein and explains how Mach’s ideas influenced them both. Mach considered each measurement as a relation and suggested that science should be rewritten in terms of what can be measured. That way all scientific theories would be built upon a relativistic (relational) foundation. Since measurement is observer dependent, a scientific paradigm based on measurable quantities only would be entirely observer dependent hence relational. Mach’s dream was partially realized by the development of the Quantum Mechanics which focuses on epistemology (what we can know/measure about “reality”). Quantum Mechanics – especially its Copenhagen interpretation – is agnostic about “reality.” The observer dependence does not make Quantum Mechanics entirely relational but it was an important step towards the Machian ideal. Einstein’s theory of relativity is another realization of Mach’s dream. In Einstein’s theory, space and time intervals are relative to the observer hence relational (relativistic). Regarding the scientific paradigm based on measurable quantities only: what is unobservable today may become observable in the future. If you develop theories based on currently measurable quantities the explanatory power and the predictive power of the theory will be very limited. This is why, historically, the alternative scientific paradigm, the one based on “hypothesis –> theory –> testing the predictions of the theory” has been more successful. Some elements of a theory can be unobservable/unmeasurable today but if the logical consequences of that theory are measurable then we have to take that theory seriously. Machian monism is considered a part of Neutral Monism which arguably includes names such as Baruch Spinoza , David Hume, Ernst Mach, William James, and Bertrand Russell as its originators. In modern times the basic neutral entities – neutral meaning neither physical nor mental – are sometimes referred to as “information” and sometimes as “mathematical elements.” I should add that perhaps microvita could be considered as basic neutral entities as well. The reason I am reading about Einstein again is because I am watching the TV series titled Genius produced by the National Geographic. 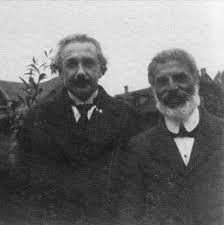 Amanda Gefter’s Nautilus article has very interesting insights about Einstein-Besso friendship. 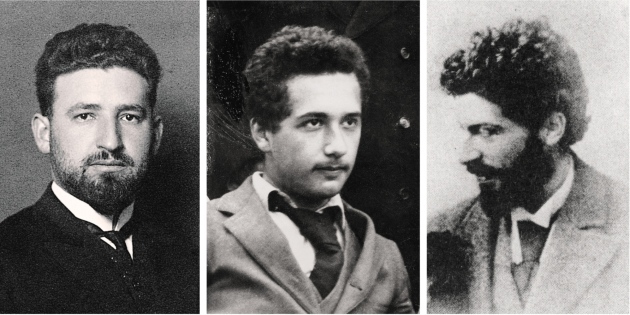 There is another article about the role of Marcel Grossmann and Michele Besso on the development of the special and general theory of relativity. I highly recommend that article as well. This entry was posted in history, physics and tagged Albert Einstein, Ernst Mach, Marcel Grossmann, Michele Besso. Bookmark the permalink.